Brought to you by Ndemic Creations, Rebel Inc will give you the title of governor. Together with five other governors, you will need to work in unison in order to stabilize your area after a conflict. This is no easy task as everyone in the city is depending on you to bring about the much-needed change. However, this is easier said than done. Before you bring back stability, there will be a procession of fires just waiting to eliminate you and all manner of threats surround you. Remember, stability means that everyone should have a supply of food, running water and vaccines. By no means is this easy to achieve. You should be a dedicated player if you want to get to the end successfully. 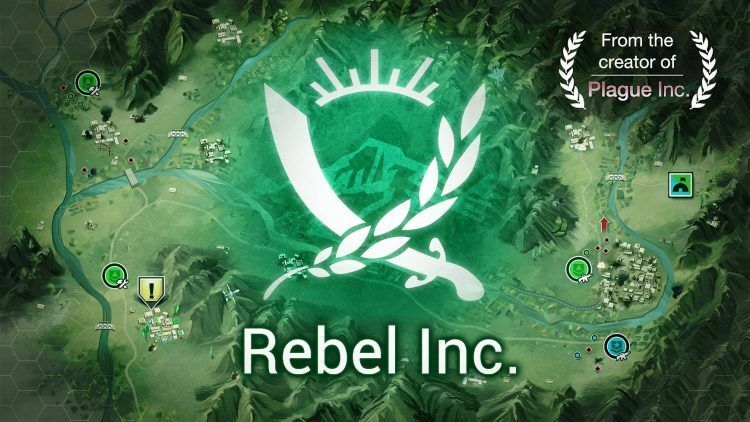 It is important to note that Rebel Inc is a tactful game that has been respectfully done. Of course, the game creators focus on the heavy subject of disaster control and management in a brilliant way. There is also an aspect of disease control. The fact that you will be the overseer of the region simply means that you need to play like your life depends on it. After all, you are a messiah of sorts. Everything falls on your shoulders. As you deal with the prosperity of your respective region, the game will always immerse you in situations that require constant balancing. Rebel Inc is not a game for the faint of heart. There is no time for guesses, you have to make smarter decisions. When it comes to the aspect of disbursing funds or maintaining infrastructure, do not lean too much on one area more than the other. Ensure that all areas are allocated a substantial amount of funds and all of them will thrive. Think of the game as rebuilding your life after a trauma. You will obviously work hard to ensure that all areas of your life become more wholesome. Do that here too! In the game, there are areas that will make or break your strategy. For instance, it is not ideal to deploy your base on the mountain pass. It is advisable to begin the game in an area with great infrastructure. When the area has roads going in all directions, it will be easy for you to gather resources and utilities. PAs governor, you will carry out many operations. But in order to execute them successfully, you should know exactly how to invest in your resources. The three main operations included the government, military, and civilian. They are the most important and will determine how you will increase your influence. Invest in these three heavily. When plating Rebel Inc, it is quite easy to run out of money. As such, you should ensure that you save some money in case an event pops out. Always be prepared to tackle the unknown. The best way to achieve peace is to engage in peaceful negotiations with enemies. While you may not necessarily want to do this, it will hasten the process and foster your path to peace in a positive way. Go to the search box in Bluestacks and type “Rebel Inc” without the quotes, of course. That is it! You can now enjoy your freshly installed copy of “Rebel Inc” on your favorite PC!